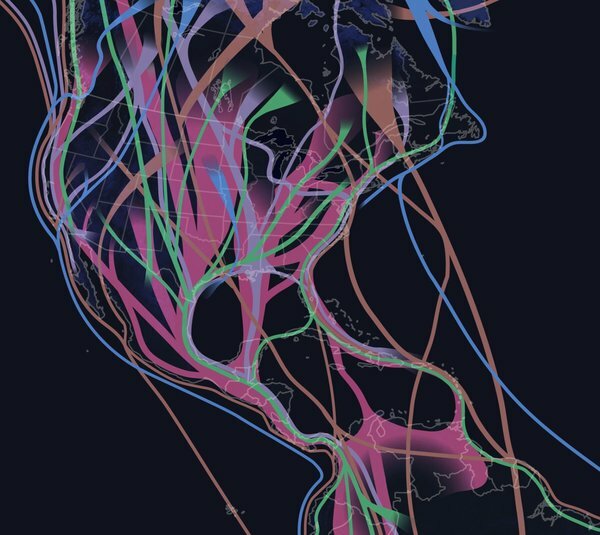 Pulling millions of observations from the eBird citizen-science database, scientists from the Cornell Lab of Ornithology have mapped out the migration of 118 bird species in the Western Hemisphere. The resulting map represents the average location over the course of a year for each of these species of birds as they make their annual migrations. A similar map with a numbered key for those wanting to know which species are which can be accessed here. Il va falloir penser à dresser des rapaces patriotes - le mur de #Trump risque de ne pas suffire contre ces migrants là !